Mp4 format is usually concerned with the resolution “320*240”. 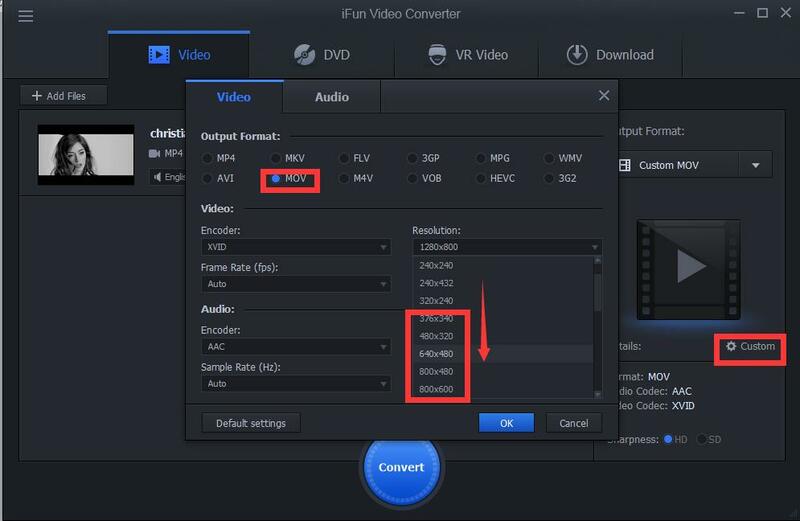 To ensure your movies’ quality, you can convert the MOV file to higher resolution so that it can maintain good quality. 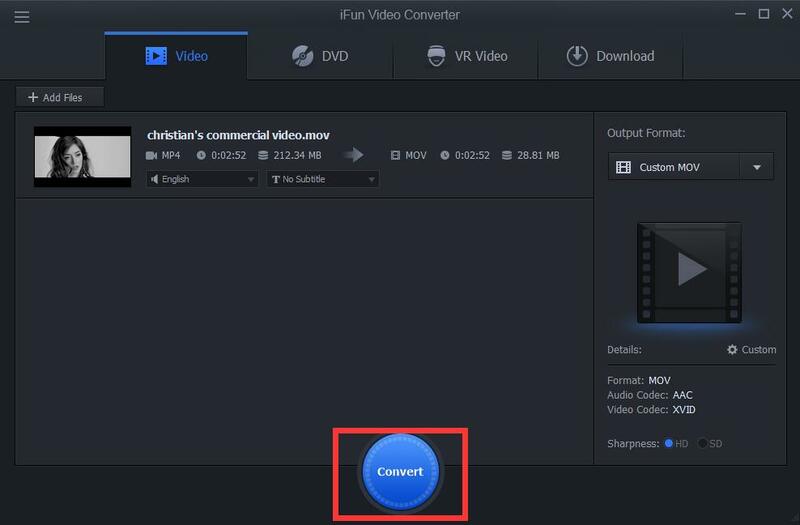 With iFun Video Converter, this is easy to achieve.